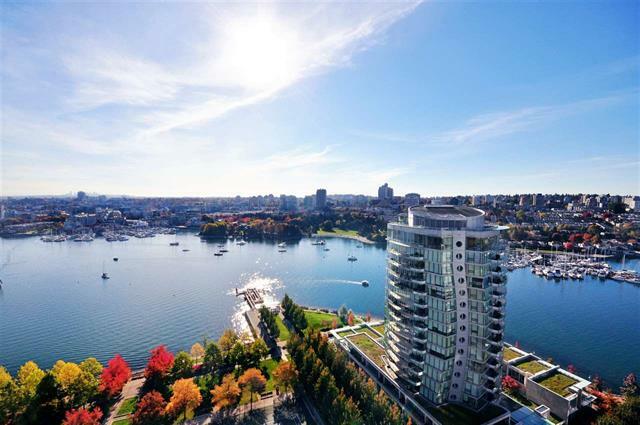 Waterford - prestigious waterfront high-rise by Concord Pacific. Bright and spacious 3 bedroom and 2 bathroom, 1,320 sq ft home with breathtaking panoramic views of False Creek and David Lam Park. Open layout, air-conditioned interiors, large deck & expansive windows. Extensively renovated in 2013, spa-like bathrooms, and gourmet kitchen with modern cabinetry and walk-in pantry/storage. Amazing amenities include indoor pool, Jacuzzi, sauna and steam room, exercise room, yoga room, theatre, 24 hours concierge, and much more! Close to Yaletown shopping, Seawall & transportation. Price includes 1 parking spot. Rare opportunity to own! Call now to make your private showing appointment!